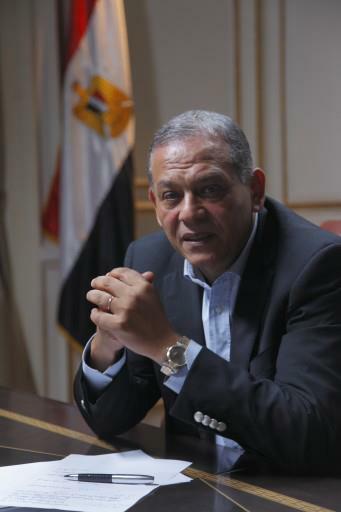 Anwar El-Sadat (Head of the Reform and Development Party) strongly opposed the decision of the Attorney General to grant the citizens the powers of judicial execution for those who practice acts of bullying or riots in the streets. This is considered the beginning of getting the country into the tunnel of civil war, chaos that will never end, and acts of retaliation that will lead to the formation of more Egyptian street militias. El-Sadat, who is headed tomorrow to Helsinki-Finland to attend a parliamentary conference, confirmed that at the time when we are required to be reasonable and to discuss the best ways to resolve our crises the Special Attorney General surprises us with a decision that is first of its kind in the history of Egypt, and unfortunately he is supported by the Minister of Awqaf in this decision, which will lead Egypt to further disintegration and collapsing ending like Iran where the opponents of the regime are tortured. El-Sadat disproved the fact that the President did not make a statement to stop this decision which open the door to the religious currents and the groups of Enforcing Virtue and Preventing Vice to do what they wanted in the Egyptian streets and under the protection of the law. He asked: if the statements and actions of the leaders of the Muslim Brotherhood cause clashes, as what happened before in the perimeter ofthe Itihadia presidential palace, then what will be the position of the Attorney General if the citizens arrested them under the pretext of the judicial execution?